Spring brings warmer temperatures and longer days, along with a plethora of blooms, buds, and leaves. 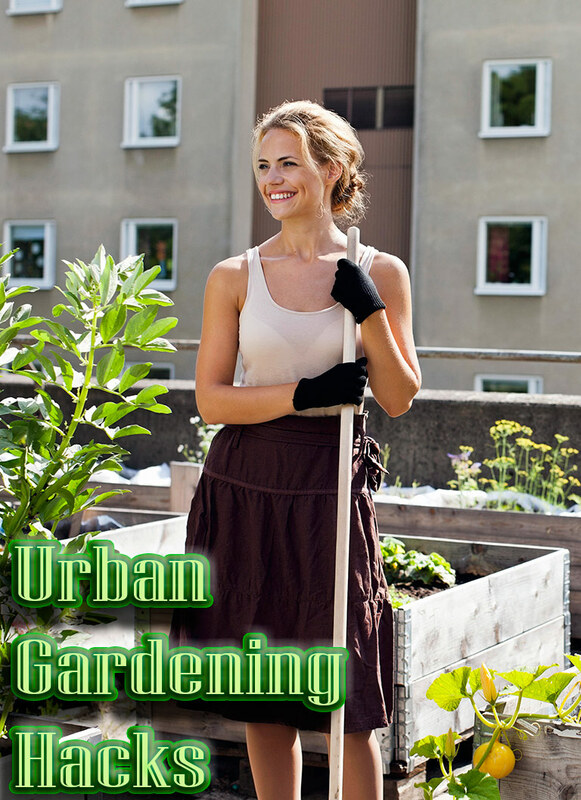 Those with yards can really dive into gardening this time of year clearing away leaves and winter debris, and starting seedlings for summer. If you live in the city, however, you might find yourself spending time indoors, but you don’t have to. Even if you don’t have a large outdoor space, you can still take advantage of the increasing daylight hours with these 7 creative gardening hacks and projects. You know those delicious, crunchy, sometimes spicy little green strands you eat in sandwiches and salads? Sprouts are one of the easiest veggies you can grow in even the tiniest of spaces with absolutely no access to sunlight or outdoor space. All you really need is a large sanitized glass jar, a piece of cheesecloth, water, a handful of seeds, and a few days’ time. You can purchase or order sprouts online from seed supply companies or some health and natural food stores. 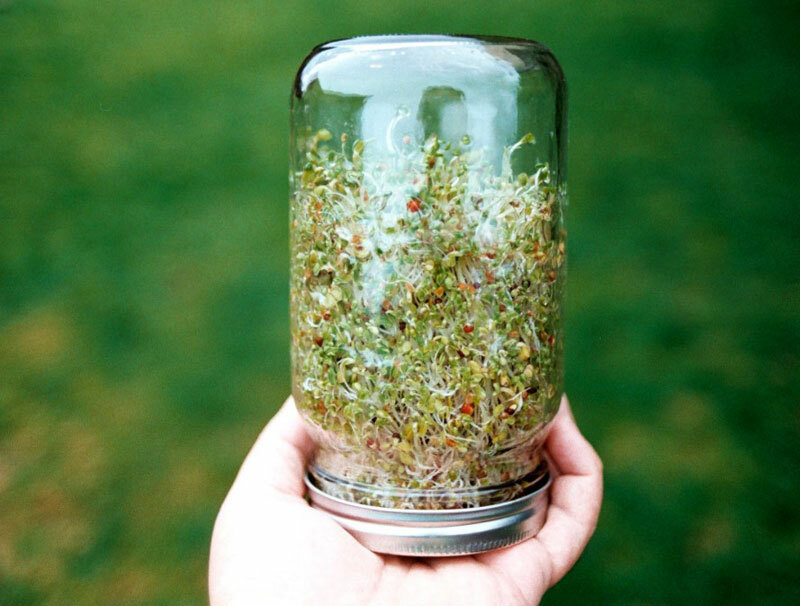 Alfalfa sprouts are of the most common sprouts, and you can spice up your sprout mix by adding in some flavorful broccoli or radish sprouts as well. Make sure you buy seeds that are meant for sprouting and eating, since some garden seeds could be chemically treated. All you’ll do is soak the seeds overnight in the jar, add a rubber band to hold on the cheesecloth, then rinse and drain them twice per day until they’re ready to eat in 2-3 days. If you can’t garden outdoors, garden indoors instead. 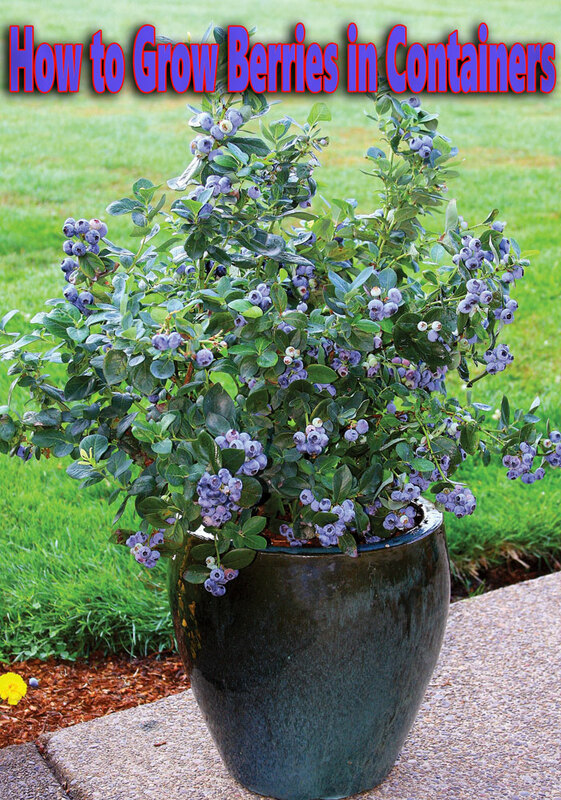 Spring is a great time to propagate your favorite houseplants, since the longer daylight hours stimulate their growth. 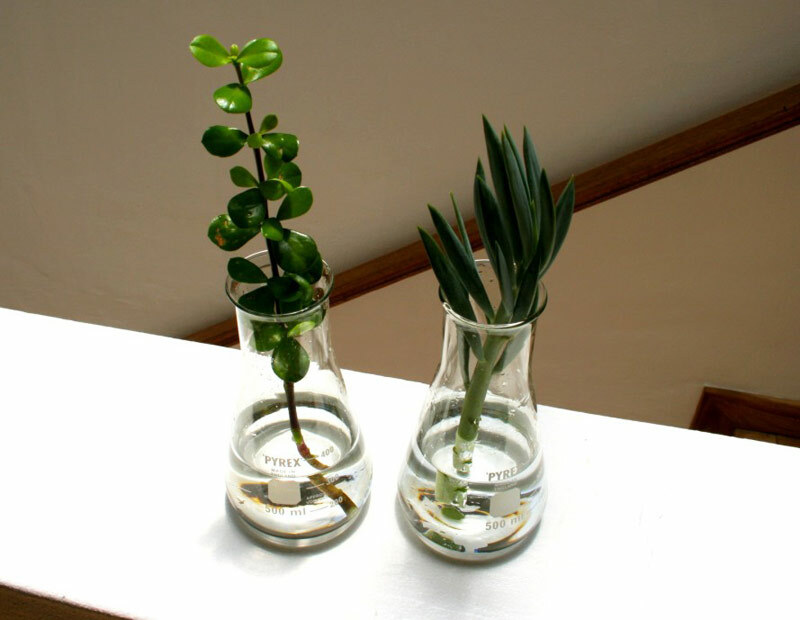 You can snip a leaf, vine, or stem from many common houseplants and simply place it in a vase of water for a couple of weeks until you see roots beginning to form. Not only is this a great way to get new plants for free, it’s fun to trade cuttings with friends to diversify your collection. Once you see roots forming in the water, you can plant the cutting in a pot or dish filled with potting soil. 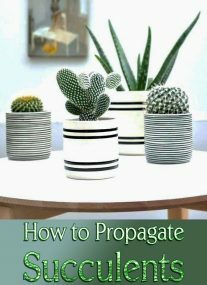 Houseplants that are easy to propagate by snipping off a segment of vine include pothos vines, spider plants, monsteras, philodendrons, and African violets. Succulents are also easy. Simply snip off a section of a succulent that’s become “leggy” (the stem has become thin and long) and let it dry out for a day or two. 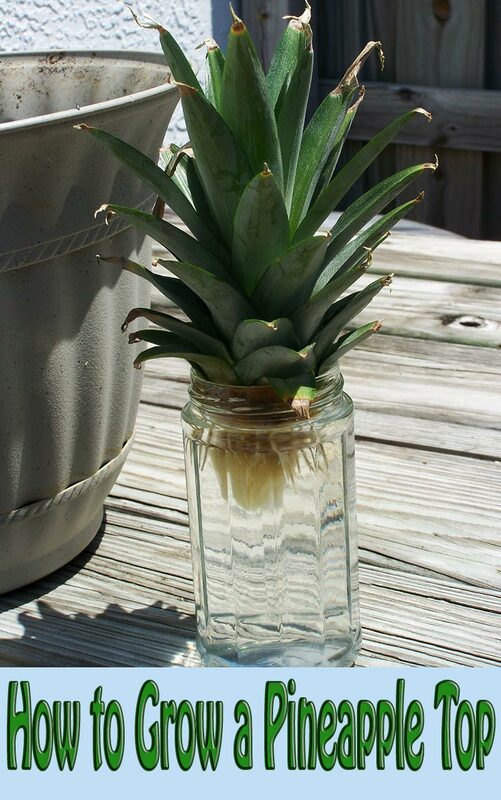 Then place it in a vase of water and wait for roots to appear before planting it in a new dish. Do you sometimes feel like a cave-dweller because your apartment is small and dark? It doesn’t mean you can’t cultivate some greenery to make your space more cozy. 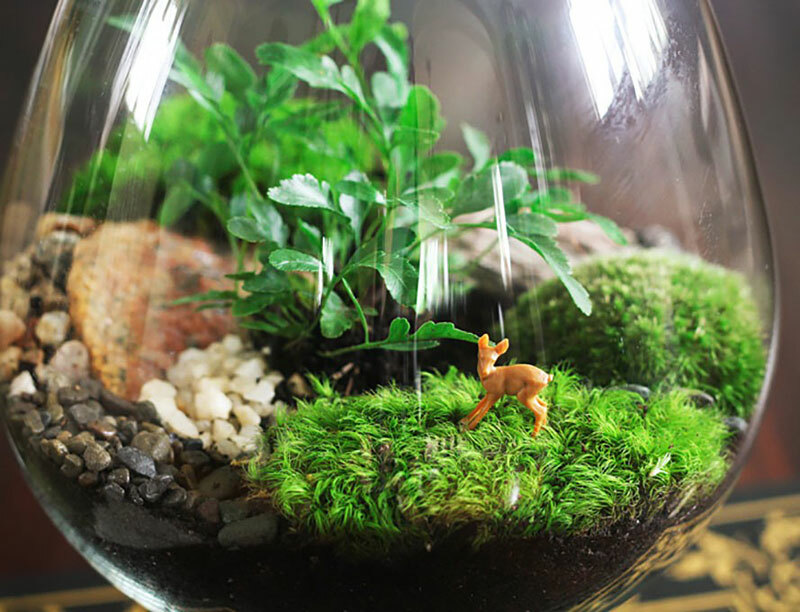 Terrariums are a terrific indoor gardening option for those apartments that lack good natural light. Mosses, ferns, ground creepers, and vines thrive in a cool, dark, moist environment. Scavenge your recycling bin or curio shelf for a unique glass vessel to plant in, and then hit your local gardening store, nursery, or hardware store for a few simple ingredients, including potting soil, gravel, moss, and a few fern seedlings. 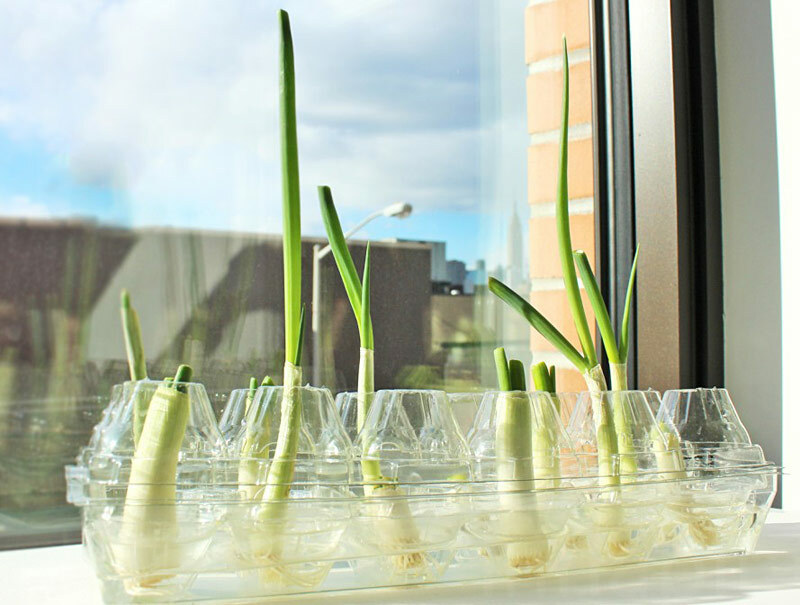 If you have a room that gets consistent direct, natural sunlight, you could actually grow your own edible herbs indoors, and spring is a great time to sprout the seedlings. 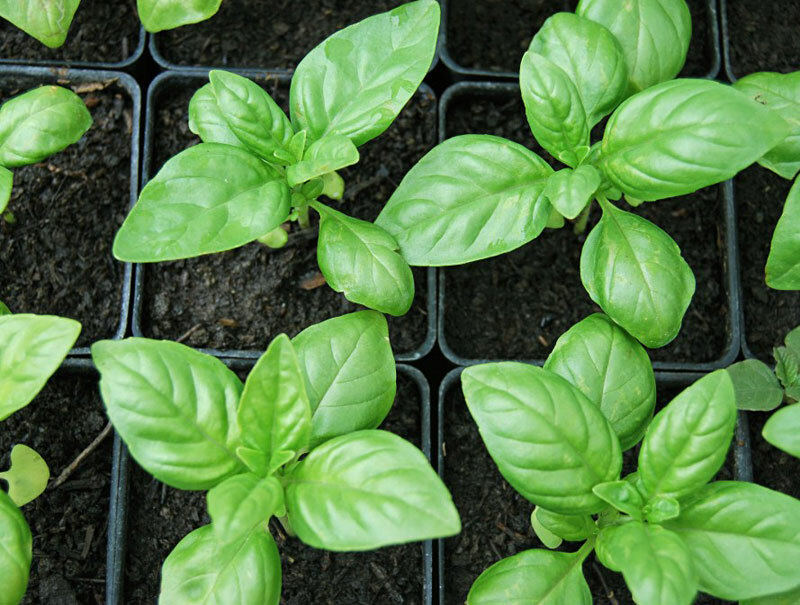 Herbs like basil, mint, and parsley will thrive indoors. But even if you have good light, that doesn’t solve the problem of space; if you don’t have enough windowsills or tabletops to host a collection of of plant pots, we have a solution for that too! With a handful of mason jars, a few pieces of wood, and some metal hose clamps from the hardware store, you can actually create your own delightful wall-mounted herb garden this spring. 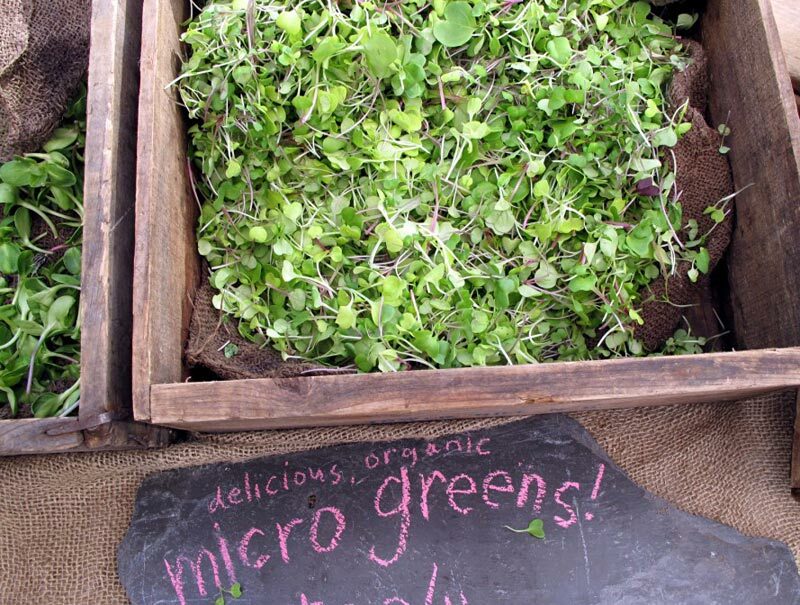 Delicious microgreens are showing up everywhere from salads to smoothies and juices, and are now a presentation staple at fine restaurants. Did you know they’re actually not all that complicated to grow from scratch? Instead of dropping big bucks on a plastic packaged container of delicate microgreens at your local gourmet grocery, try growing them yourself. You’ll need seeds, some potting soil, and a flat shallow tray (a reused food container or a baking dish would be suitable). You’ll want to source edible, non-chemically treated salad seeds – some fun greens to grow include arugula, tatsoi, mustard greens, radishes, and lettuces. You can shop online or via seed and gardening catalogs. The difference between sprouts and microgreens is that the latter are ready to snip and eat once they’ve leafed out and started to photosynthesize – thus, you’ll need to find a sunny windowsill for this project. 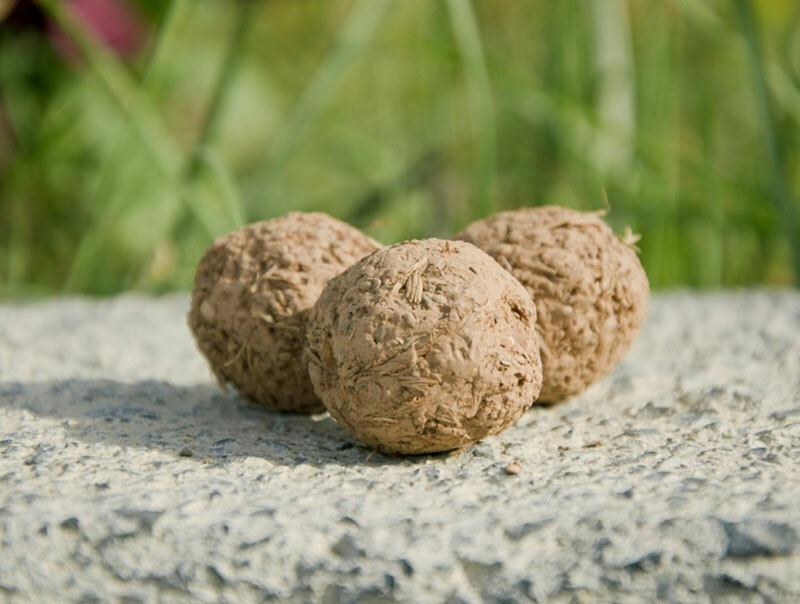 If you are really itching to garden outdoors this spring, you could make your urban outdoor environment greener with seed bombs. These funny looking marble-shaped objects are actually made from a variety of flower and plant seeds mixed with a binder (usually comprised of compost and clay) to keep it all together. You can toss, bury, or plant them anywhere you see a patch of dirt, including abandoned lots, sad and empty planter boxes, scraggly looking median strips, or the edges of parking lots. Whether you call it guerrilla gardening or tactical urbanism, with a little luck and a shower or two of rain, you could singlehandedly contribute to creating a green bright spot in an abandoned corner of your city.